This post may contain affiliate links. If you click through and make a purchase, I may receive a commission (at no additional cost to you). What does this mean? Of course when I have an opportunity to try out a new planner, I’m going to take it. 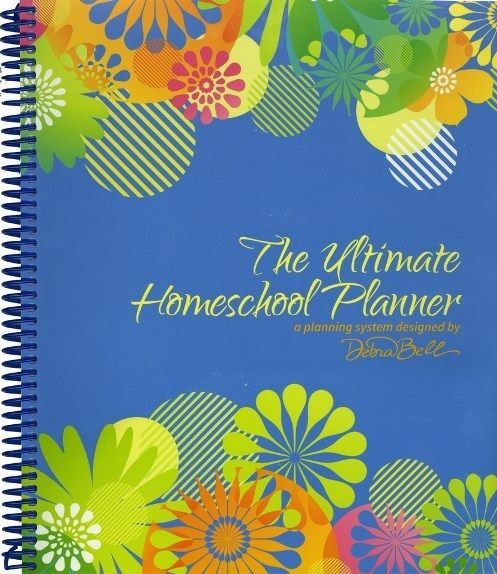 This one comes from Apologia Educational Ministries and is The Ultimate Homeschool Planner in blue. I love the cover, it’s so pretty plus it’s like a hard plastic, or like card stock that’s been laminated. This is the inside front cover, us homeschooling moms and dads have to have our pockets, right? I know I do. Gotta love the pockets on the inside of the front and back covers. 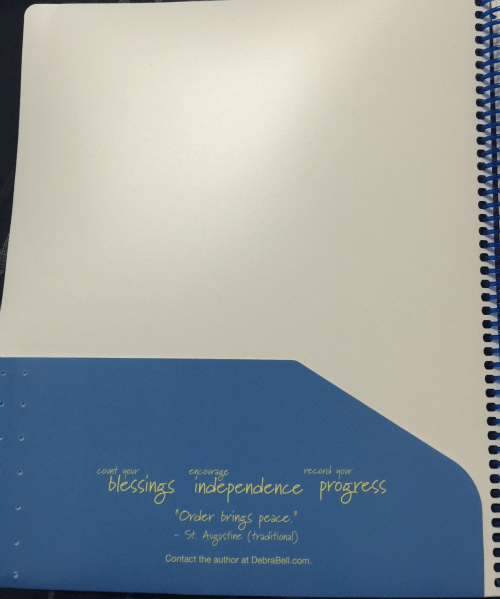 This is the year-at-a-glance, it is made out of what feels like card stock so it’s very durable. I like this, I get to see what day people’s birthdays or appointments are on. They show up to year 2022-2023. As you can tell from the bottom, this is the one-year planning grid. This is where you can put birthdays and any other special days (like holidays) that you want to plan for. 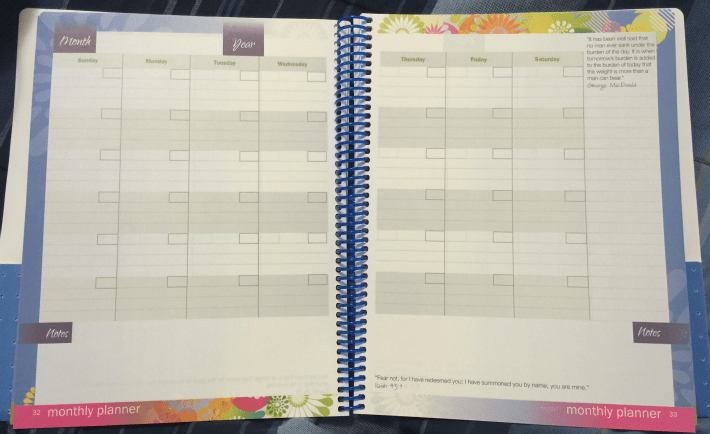 This is the monthly planner section. Best part it’s not labeled or dated, I love when they’re not labeled or dated, that means that I can start on any month and any day. There are enough pages for all 12 months. 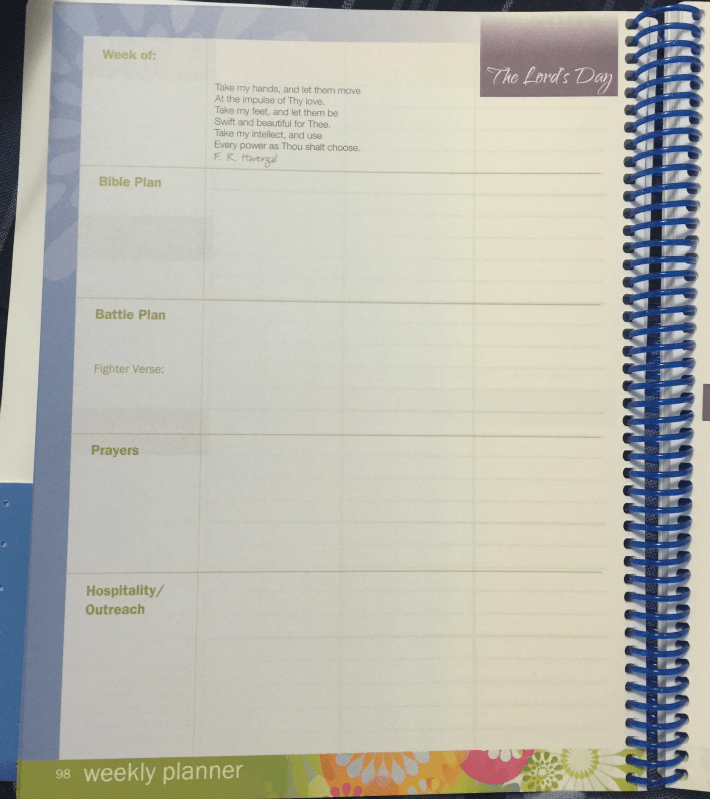 This is the beginning of the weekly planner section, it’s also not dated. As you can see, here is where you can put your bible plans for the week. This is the next page in the weekly planner section. Here is where your homeschooling week starts, also not dated so you can start whenever. When they are dated, I don’t know about you, but I feel pressured to begin on that day. As you can tell from the picture that on the right hand side is where you can list Notes, Supplies, and Appointments for the week. It includes enough pages for 52 weeks. Another thing that I love about the weekly planning pages, they’re so big! I love space, I write big so I don’t like when I have to try to cram everything in one small space. 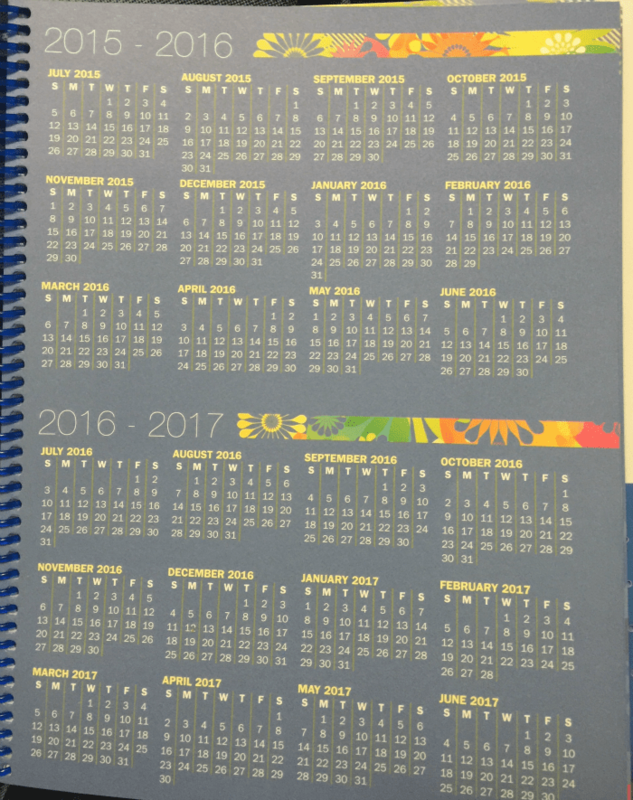 With this planner you don’t have to worry about that. 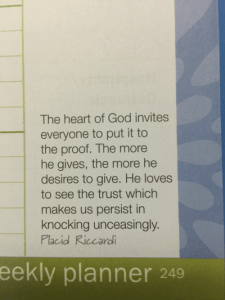 You’ll find these little quotes in the weekly planner section.Not all are bible quotes, some are from authors and poets. This is on the inside back cover. Yes! Another pocket! 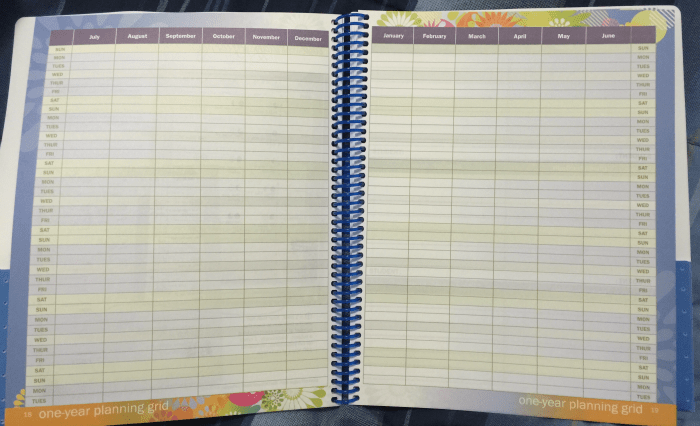 Of course I used this to plan our homeschool days, I used the one-year planning grid to write down birthdays and any appointments that recur like dental and well-child doctor visits. 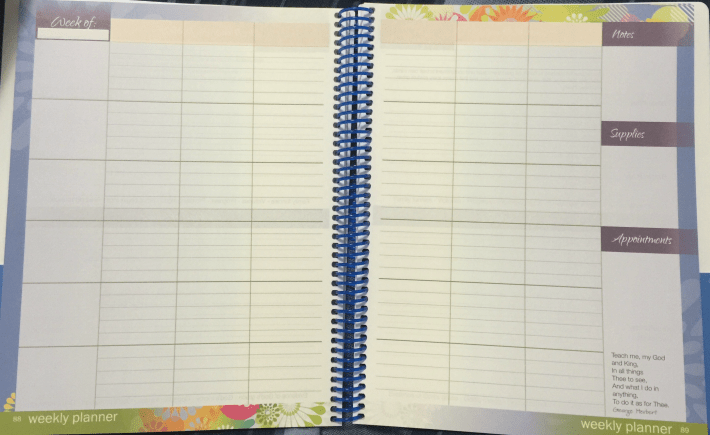 On the monthly planning pages, I put down any appointments or bill due dates, hey, I didn’t say it was just a homeschool planner, I made it my own. Also for the weekly planning pages, I started by writing the subjects down the left hand side and then the days of the week at the top, then each line represented a family member. Of course any supplies that were needed for an upcoming project went on the right in the “Supplies” field, and then any appointments we have for that week go into the “Appointments” field. 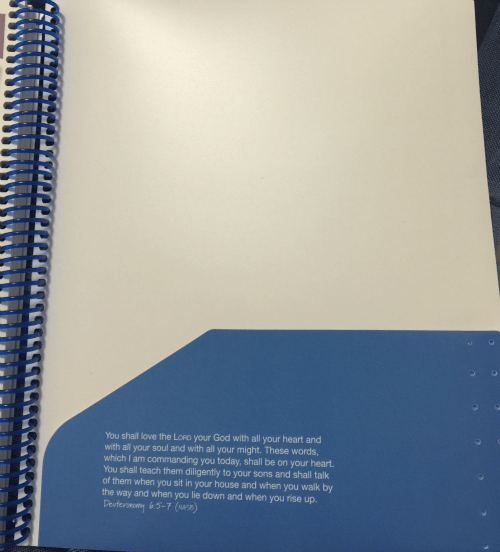 I love how there’s an example of how to use the planner in the front and in the back has teaching tips.